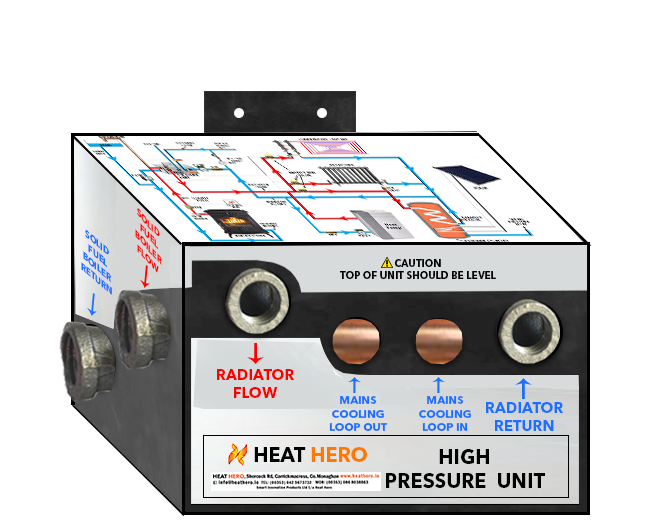 Heat Hero High Pressure Unit is designed to link a Solid Fuel Boiler safely with a High Pressure Dual Heating System like high pressure gas boilers or heat pumps. 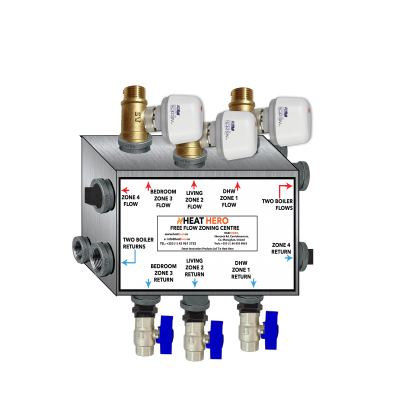 Heat Hero High Pressure Unit is designed to link a Solid Fuel Boiler safely with a High Pressure Dual Heating System like high pressure gas boilers or heat pumps. 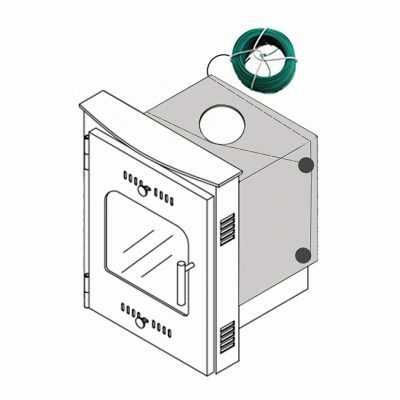 The radiators and underfloor side of the heating system operate under mains pressure for strong circulation and the solid fuel boiler is safe with an open vent, gravity and has a built-in 44KW cooling loop in the event of electrical failure. 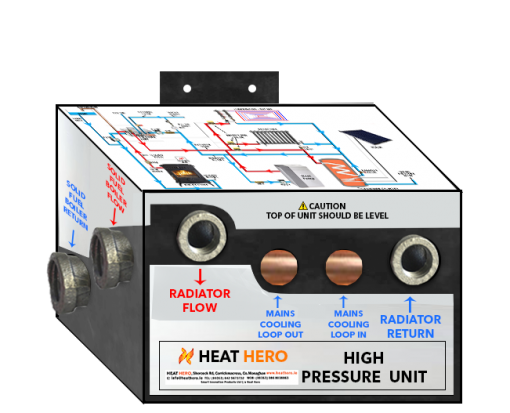 Heat Hero High Pressure Unit also has a built-in Free Flow 44KW heat exchanger that allows for a high efficiency heat transfer and strong circulation. The Living Room Zone automatically turns on when the stove reaches 50°-55°. The Domestic Hot Water is controlled through the Thermostat on the Cylinder. The 3rd & 4th Zones are controlled through the 3 or 4 Zone Time Clock. 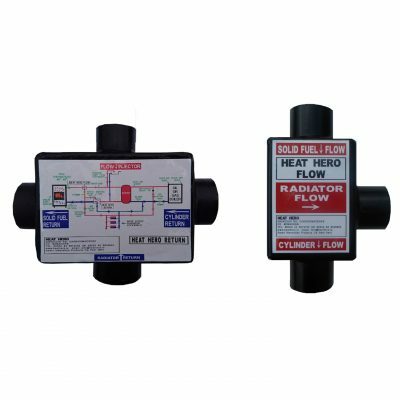 The heat transfers quickly throughout your heating system. 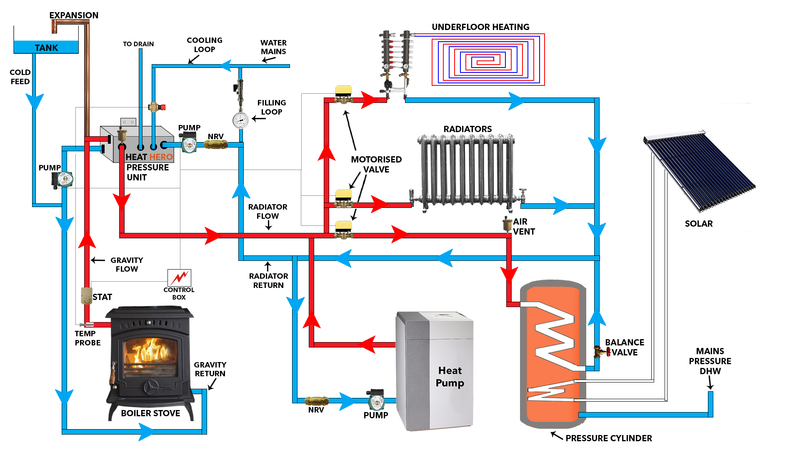 Strong circulation throughout your heating system is created by installing only one 8 metre head circulation pump at the boiler. Water flows freely throughout the zones without any restrictions..
5 Year warranty motorised valves are used to open and close zones. Very easily installed with low maintenance and very low running costs. There are no baffles that would restrict or slow down circulation. Motorised valves are prewired and electrical diagram is very easy to follow. 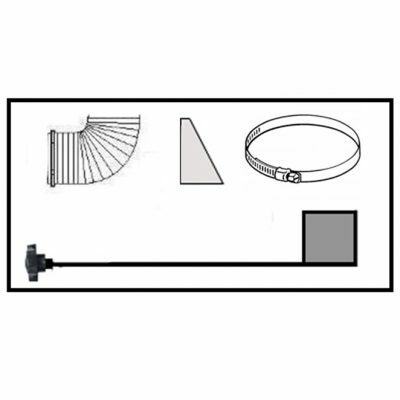 Zoning System for connecting dual heating systems efficiently.